Pramod and Maaike want to wish you a happy and a healthy 2019! That is our wish, wherever you are, at home, at you work, or when you are travelling to beautiful places in the world, be there with all your heart. What we do we also do with our whole heart.When we work out our itineraries of our travels we search with much care for special and authentic spots.Our aim is to organize spiritual travels.For us spiritual travels mean, travels that are opening the heart and so bringing you closer to yourself. For our group travels that we organize our self, we choose to travel in small groups of max 8 to 10 people. Because we believe that is helping you to have the maximum experience out of the travel. We travel to the first monastery in Tibet, Samye. If you book your travel before 15 February of 2019 you get a discount of 75 dollar.  Tara Himalayan vision is also specialized in tailor-made travels. Together with you we organize the travel of your dreams within your budget and interest. Departures are possible every day for families, groups or individual travel explorers. We also want to talk about an initiative our partner Tarayogini organize, a transformation travel in South of France, 10 - 17 June 2019. We use techniques as yoga, breathing exercises, knowledge of Buddhist Psychology, other old knowledge and we work with the energy of the elements. This retreat takes place in an authentic old rest orated farm in France. Where you completely can reconnect with yourself by relaxing in the beautiful flower garden, at the swimming pool, or a walk to the river that is close situated next to our retreat place. If you book your travel before 15 February of 2019 you get a discount of 50 euro.